After seeing a promotional ad for Slovenia, I wanted to go. I mean, who does not want to visit a country with LOVE in its name?! 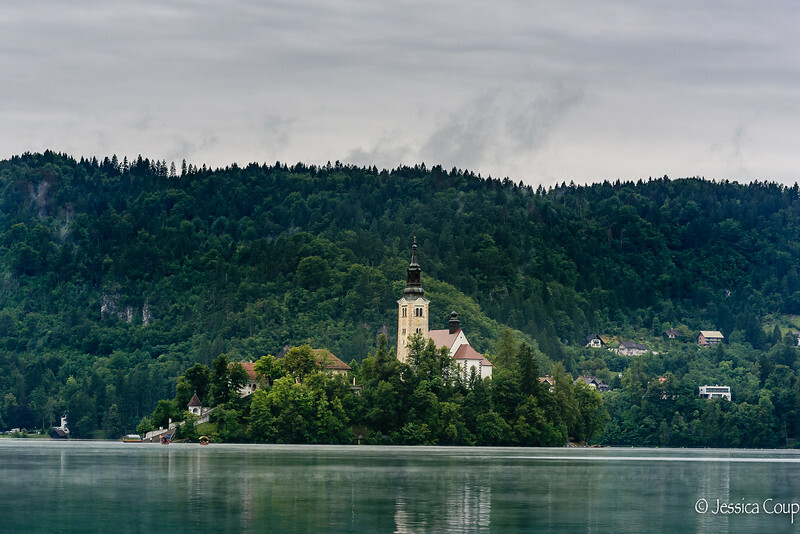 Visiting Lake Bled and Ljubljana during a quick day trip, I soon realized that visiting in July does not mean it will be warm! Encumbered by a jacket and scarf during a rainy morning to Lake Bled did not dampen the beauty of the lake. After fighting long lanes of traffic we made it to Ljubljana’s old town which was storybook beautiful and the architecture is greatly influenced by Vienna due to Ljubljana being under the Habsburg rule from the Middle Ages to the end of the empire in 1918. The city has the Ljubljana River flowing through and the many bridges and boats add to the ambiance of the city. As the rain stopped and the sun peeked from the clean blue sky, it was great to stroll the large market, Ljubljana Castle and the pedestrian-only, cobble-stoned streets.